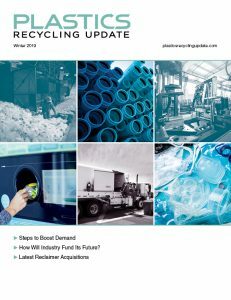 China released a proposal to expand its scrap import ban beyond plastics and the other materials that are currently restricted. A new plan would ban every form of “solid waste” from import. The Ministry of Ecology and Environment on July 11 posted a draft document that lays out numerous regulations covering solid waste management. The proposal is in line with recent reports indicating the country will end scrap imports completely by 2020. China’s National Sword policy has already shut the door on most recovered plastics and mixed paper since the start of this year. And China announced it would ban imports of post-industrial plastic by the end of this year. Higher grades of fiber have been allowed to continue to move into the country, although they’ve been subject to tighter inspection requirements. Fiber research firm RISI first reported on the latest import proposal, noting it would “entirely ban the import of solid waste, including recovered paper,” and would do so sooner than previously anticipated. The Chinese ministry is seeking comments on the proposal by Aug. 18. Comments can be sent to [email protected]. According to a second document published alongside the draft proposal, the Standing Committee of the National People’s Congress will consider the solid waste regulations as part of its 2018 legislative work plan. RISI reported the Congress will review the legislation in December.